My work combines hot glass and cold-working, with glass forms handblown and worked into using cutting, carving and engraving techniques to create vessels and sculptural forms exploring the relationships between form, pattern and colour. I started working with glass during my degree in 3D Design at Manchester Metropolitan University and went on to complete a Masters in Glass at the University of Sunderland in 2011. Since then I’ve been living and working in Edinburgh and I’ve undertaken residencies at the University of Sunderland, North Lands Creative, Cesty Skla in the Czech Republic and Edinburgh College of Art. I combine my interest in design, particularly Japanese, Scandinavian and Mid-Century, with my love of the material. Recent work has explored some of the properties of glass, working with layers of colour, pattern, texture and transparency. Pieces have evolved through experimentation with process and the material and investigations into its unique properties. I have particularly been investigating colour combined with light, overlaid over other colour, cut through to reveal pattern and layering, and combined to manipulate its saturation and density. Mark-making on the glass is gestural and idiosyncratic, using cold-working tools in an expressive way, and the glass itself has also been used to mark other materials through heat and texture. My practice is divided into three areas, art, design and making. I make one-off conceptual or sculptural works, which have included still life groupings of Japanese tea ceremony vessels, formal compositions of layered colour and texture, installation pieces, and representations of my own life experiences through abstract compositions and coded symbols. My work has been exhibited nationally and internationally and won awards including the British Glass Biennale Student Award and the Creative Scotland Emerging Artist Bursary. Design-led work combines modern, elegant shapes with innovative surface decoration. Japanese design and traditions can be seen in many ranges, such as the best selling Shino collection. 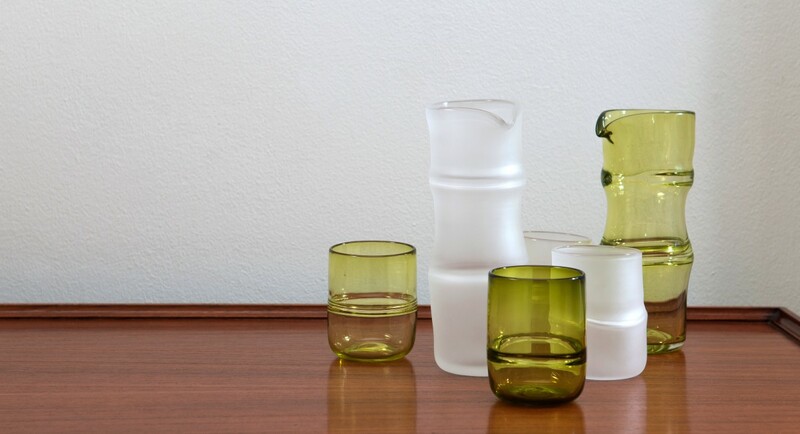 Other collections, such as Mix & Match combine colour, texture and pattern in functional vessels. I have also worked on a range of commissions for individuals, awards ceremonies and arts organisations. 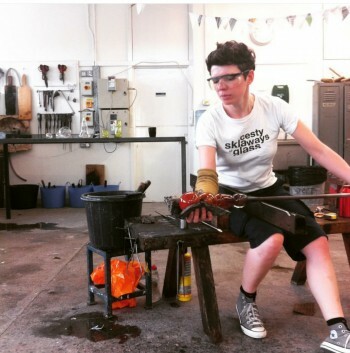 As well as making my own work, I have taught glassblowing at Edinburgh College of Art, I assist other artists in glass production, and fabricate and finish work for artists using glass in their projects.